A pair of working Shire Horses sent in by © William Marsh. 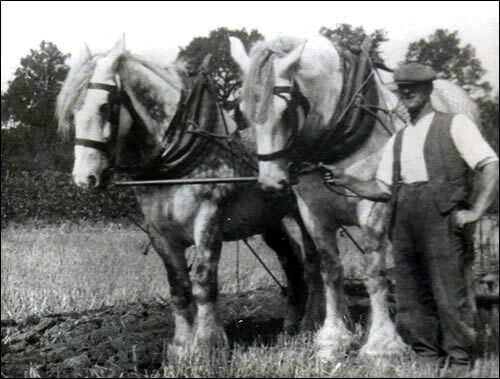 The Shire Horses were worked by my father, William Horton Marsh in 1942, in the fields of Kent. He needed to get up at 3am to feed and brush them, prior to working the carts at 7pm.